This decal is a good quality water resistant decal which is suitable for both cars and motorcycles. Unlike the conventional P Plate made by 3M which is hard and brittle, this decal allows you to display the Probationary Plate on a curved surface. Made of high quality reflective material, the decal will reflect light at night. For car owners, you may choose to display it from inside the car by using a double-sided tape, or paste it on the external side of the windscreens. 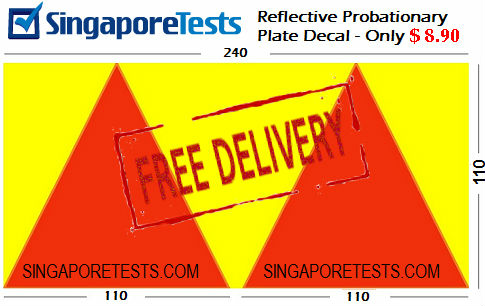 Save now by buying a P Plate decal now, instead of a 3M one which cost about twice as much!